Increasing industry and cedant loss expectations for typhoon Jebi have resulted in another over 50% decline in secondary pricing for the Mitsui Sumitomo Insurance sponsored $200 million catastrophe bond Akibare Re Ltd. (Series 2016-1). 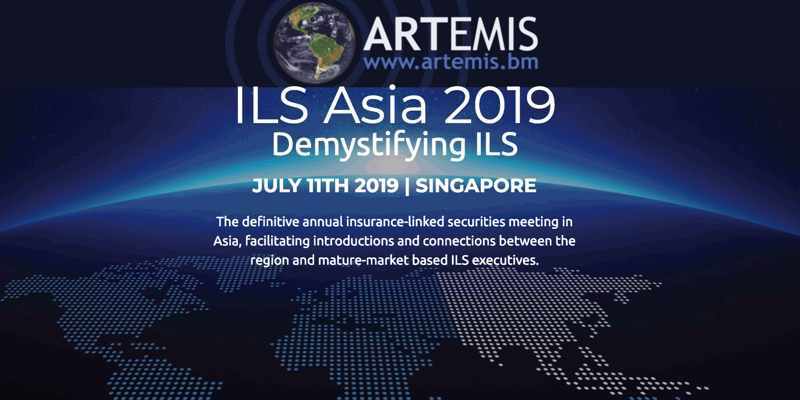 This catastrophe bond provides Mitsui Sumitomo with a source of collateralized annual aggregate reinsurance, backed by the capital markets, covering certain losses from Japan typhoons including some flood risks. Rising reinsurance claims from typhoon Jebi is the cause of the reduction in value of the Akibare Re 2016-1 cat bond notes. Originally, risk modelling firms estimated an industry loss of as low as $3 billion to $5 billion (RMS and AIR), but as time passed the expectation for losses from Jebi rose significantly. PCS previously pegged typhoon Jebi’s insurance and reinsurance market wide loss at $10 billion, which was already a significant increase on risk modeller estimates as loss creep continued to drive the total higher. Then as we reported a fortnight ago, the market’s expectation for losses from typhoon Jebi has continued to rise, with $12 billion being seen as a likely total, while we now understand some are pointing to $12.5 billion or even higher before the final insurance and reinsurance bill for the storm settles. 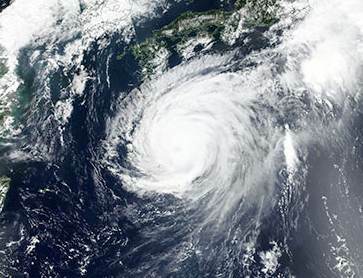 Catastrophe bond brokers had already highlighted the fears that Mitsui Sumitomo’s losses from typhoon Jebi would result in a triggering for the Akibare Re 2016-1 cat bond, having previously marked the notes down. Back in February, as we previously reported, the $200 million of notes issued by Akibare Re in this Series 2016-1 cat bond transaction were priced in the secondary market for bids of around 65 to 70 cents on the dollar, suggesting a market anticipating as much as a 30% or so loss of principal. As a cat bond providing annual aggregate reinsurance protection, the Akibare Re 2016 notes are exposed to any loss creep emerging from typhoon’s Jebi and Trami, possibly also Prapiroon (that coincided with the extreme rainfall last summer). The risk period runs through until later this month, April 2019, suggesting any loss estimate increases need to be reported soon if this cat bond is to face a loss. The market’s sentiment has worsened considerably for this cat bond, with broker pricing sheets showing a 50% decline in the value since we last reported on it. Now, broker pricing sheets seen by Artemis show the $200 million of Akibare Re 2016 cat bond notes marked down for bids as low as 20 cents on the dollar, more widely at close to 30 cents. So roughly a 50% decline since February’s secondary marks for this cat bond. At this stage it seems likely the aggregate trigger point for this catastrophe bond has been surpassed, as the market is discounting it now for as much as an 80% loss of the $200 million of principal. However, the reinsurance coverage the cat bond provides is only for claims under the sponsors fire insurance portfolio of business, so not its broader loss from the typhoons under other lines it underwrites. So how much of the principal is eroded remains to be seen. But with some days to go before the end of the current risk period it will be interesting to see if the notes maturity are extended, to allow for continued loss creep and development and to lock in the collateral in case the sponsor can make a claim. The Akibare Re 2016 cat bond notes had previously traded at 72 cents on the dollar back in February, reflecting one investor or ILS fund managers reluctance to hold the notes in case of losses. The notes haven’t traded since that point in mid-February, which is unsurprising given the degradation in price due to ongoing loss creep. We’ll update you as and when any further clarity on losses faced by investors in the Akibare Re 2016 cat bond emerges. You can view details of all at-risk tranches in our directory of catastrophe bond losses and cat bonds considered at-risk.